Most travel and hospitality businesses know that social media should be an integral part of their tourism marketing strategy. But even the most social savvy of business owners have a hard time determining if channels like Facebook and Instagram actually increase their bookings and revenue. Yikes! It’s no wonder so many tourism businesses are wary of investing in social media. But here’s the thing. While it’s true that measuring social media ROI isn’t always an easy task, it IS possible to prove the value of social media to your tourism marketing—if you’ve got the right social media strategy in place. “Show up where your ideal customers are.” It’s one of the golden rules of marketing—and it’s what makes a strategic social media presence so important to your business. In the U.S. alone, 78% of people have at least one social network profile. What’s more, the average person now spends more time on social media than they do watching television! We could throw a whole bunch of additional numbers at you, but you get the idea. Travelers are undeniably using social media not only for travel inspiration but also as a major resource for planning and booking their destinations, hotels, tour operators and even airlines. Some 50% of travel execs believe their companies are behind the competition when it comes to social media. In other words, embracing an epic social media strategy is a HUGE opportunity for your travel brand to get ahead of the competition! If we know that so many travelers are using social media as a resource to plan their trips and vacations, why is it that so few businesses see any tangible results from the effort they spend there? What we find when we talk to hoteliers and tour operators is that very few business owners have even the slightest social media strategy. It’s understandable. Running a five-star travel business is hard work, and we’re willing to bet you didn’t get into the travel industry for the digital marketing side of things. So what do most business owners do on social? They throw up a photo on Facebook or Instagram here or there when they have the time—and that’s about the scope of it. If you approach anything in life or business this way, are you going to see any tangible results? Probably not. To know if you are achieving your goals, you first need to get clear on what those objectives look like. What specific outcomes do your travel business want to see from social media? Do you want to increase your hotel’s brand awareness? Sell more of a specific high-end package? Increase direct bookings? It’s important when you’re thinking through this stage that you don’t get swept away by the potential of ‘vanity’ metrics (such as likes and followers.) Anyone can go buy 20,000 Facebook likes, but that’s not going to do anything for your bottom line. Think about what your company’s business goals are and then align your social media marketing strategy accordingly. To set yourself up for ultimate success, take your goals a step further by ensuring that they are specific, measurable and actionable. For example, if you want to increase direct bookings to your website, then perhaps one of your social media goals could be: Increase social media referrals to your website reservations page by 20% in the next three months. Go ahead. Go grab a pen and paper and write down at least one specific, measurable and actionable objective you would like to achieve from social media. Now that you have at least one goal down on paper, you need to know how to track your success. The more specific you are with your objective, the easier this step will be. 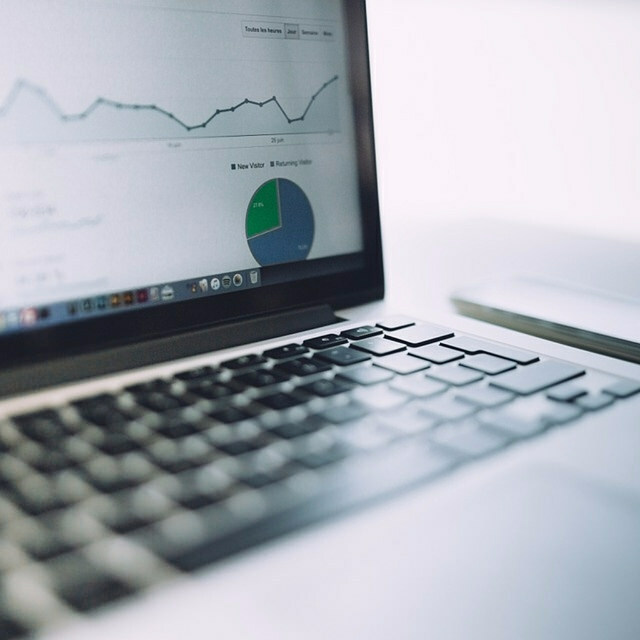 Here are a few of the most common social media metrics that you’ll want to keep an eye on. For example, let’s say that British Airways recently began direct flights from London to your destination. Your tourism business wants to take advantage of this new group of high-value prospects. Therefore, you decide your goal is to increase brand awareness to a primarily U.K. audience. To measure the success of that objective, your business would want to track the number of likes, shares, comments, follower growth rate and reach of your social media posts, specifically within that region. Take it a step further. Within a few months and according to the metrics above, your brand awareness in the U.K. has increased by 200%. Now you want to market a specific weekend getaway to stressed-out Londoners. Your business would then want to track social media referrals and URL clicks that lead specifically to that special offer, as well as the conversion rate (sales) from social referrals once on that landing page. Once you get a handle on these basic social media metrics and how they relate to your specific objectives, you’ll see that there is endless potential for creative social media goals, tracking and—the best part—increased profit! How Do I Access These Metrics? There are countless tools on the market to help you track and measure social media metrics. However, most social media channels have their own basic analytics dashboard, and for many small businesses, the information you’ll find here is sufficient when combined with Google Analytics. If you’re keen to explore some of the other software options available to track social media metrics, we’ve included links to a few of our favorite tools at the end of this post. So we’ve set up our goals and determined the metrics we need to track success. But we don’t just want to look at numbers and data alone. 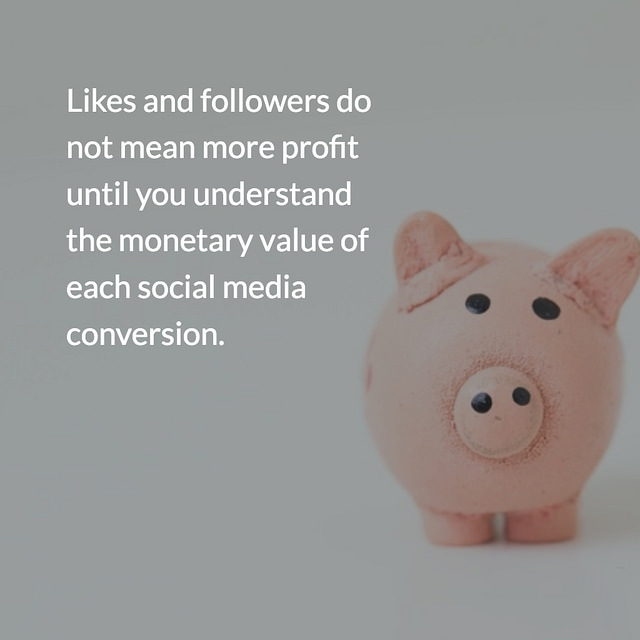 In order to truly understand your social media ROI, we need to look at the monetary value of each social media conversion. What is the average value of a person who books your one-week tour? Or what about the average traveler who books a double-room for three nights at your hotel? What is their value in dollars and cents? With a specific dollar sign attached to a conversion, and proper tracking using the metrics we discussed earlier, you’ll get a good idea of what your social media revenue actually looks like. To determine ROI, we need to take into account your costs. If you’re the one handling your business’ social media, don’t forget to include the cost of your time with your other tangible expenses. Subtract your social media costs from social media revenue, and you’ve got your social media ROI. Now compare your social media ROI to your other marketing and advertising costs. How does it stack up? We do want to be clear that it is not always possible to assign a monetary value to social media objectives, especially if your goals are not sales related. Take social customer service; social media is now a primary medium for travelers to voice complaints and get answers to their questions and concerns. What is the dollar value attached to responding to a negative review or keeping customers happy? It’s likely a gray area for your company. Our opinion is that you should always have at least one social media objective that is based on converting a social media lead into a paying customer. While it may not be the complete story, it will give you a good benchmark to start understanding your social ROI. Note: A great social media strategy driving traffic to a poorly designed website is just a waste of precious time and energy. Make sure your website is ready to convert and that you’re not making these Five Hotel Website Design Mistakes That Could Be Costing You Bookings (And What To Do Instead). So many times travel business owners come to us and say that they’re tracking social media ROI, but the results just aren’t stacking up to other traditional advertising methods. If you’re truly not seeing ROI from social media, then yes, it might be time to pursue other avenues. But you can’t just post a blurry photo to Instagram once a week and then wonder why you’re not getting any results. If you’re not sure what a fantastic social media strategy looks like, set up a free consultation call with a member of our team today. 2. Have a 360-degree approach. You can have the best social media strategy in the world, but if your travel website is confusing or your online reviews are lackluster, then it is very likely you won’t see a positive ROI from your social media efforts. All of your tourism marketing channels should work together seamlessly to ensure a five-star experience for customers throughout their entire interaction with your brand.